On February 1st, Frisco Association for the Arts was named 2018 Non-Profit of the Year by the Frisco Chamber of Commerce! It was a true honor to be finalists with National Breast Cancer Foundation, Scottish Rite, and American Legion. We appreciate the Frisco Chamber for recognizing the impact of Frisco Arts in our community. We share this award with ALL our members, supporters, volunteers, arts creatives, Ambassadors, and Board. YOU are the engine that helps us advance the arts through advocacy, outreach, and education, building a stronger community with the arts. Here’s to an exciting year of even greater arts impact in 2019!! View more photos from the Frisco Number Ones Gala here. We are excited to launch the new 2019 Muse Series, a VIP opportunity available to our Muse Level members and higher. Muse members are our individual and business patrons who make an annual contribution of at least $1000 to Frisco Arts to support the mission of advancing the arts through advocacy, outreach, and education. Your membership at the Muse level promotes the power of the arts in our city and gives like-minded arts champions the opportunity to develop relationships with each other in unique, sought-after settings. Our first Muse event is in partnership with the Dallas Art Fair and at the private home of a local art collectors in Plano, and our next Muse event will be at the Cowboys Club for a VIP reception, sponsored by New York Life. More information will be sent to our Muse members this week for these and other Muse events coming later this year. We hope you’ll consider becoming a Frisco Arts Muse member and joining us for the Muse Series of events! View our member advocate levels and donate securely online at here. Please note: you can make a $1000 one-time gift or $100/month donation to move to the Muse level. Thank you in advance for your support! The mural, located on Main and 4th in the Rail District of Downtown Frisco, colorfully reflects the themes and cultural diversity of Frisco. It is groundbreaking in size, medium (spray paint), and concept. The mural was a collaboration of the Rotary Club of Frisco, Frisco Arts, Downtown Advisory Board, and the Downtown Merchants Association. Read more about Joshua Boulet in the Frisco STYLE article here..
, an award-winning singer-songwriter, speaker and composer will perform on the evening of Wednesday, Feb. 13 at 6 p.m. at the Frisco ISD Administration Building, 5515 Ohio Drive, in the boardroom. The family-friendly performance is sure to inspire as Memmel talks about his personal journey and everyone’s ability to overcome challenges, both visible and invisible. Lucky Fin Project, an international non-profit that raises awareness and supports those with upper limb differences. travels the world playing music, inspiring people and living his dream. The concert is open to parents and students 8+; RSVP not required. Typically the number of seats in a performing arts center (PAC) is a fixed number, which usually dictates what types of groups can perform. But what if you could create multiple configurations of seats in the same space, even making all the seats disappear into the ground? 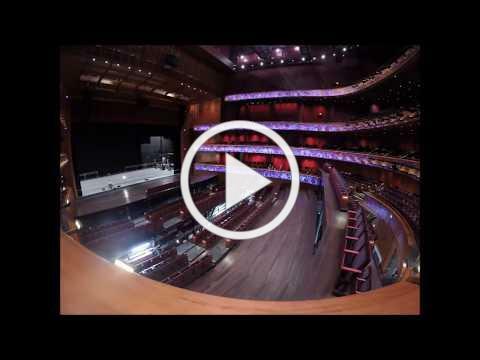 This innovative gala lift system is changing the rules for PACs, accommodating various productions, audiences, and arts experiences. . . all in the same space. If you’re interested in following this topic and voicing your thoughts, we invite you to join the Facebook group called Build a Performing Arts Center in Frisco, TX! Music Institute of North Texas every Wednesday from February 6-May 22 for a fun musical experience with early childhood music specialist, Ms. Kelly Russell. Kids will enjoy an interactive introduction to music by moving and grooving, all while learning about different concepts of music and art! Material based on the nationally recognized program: Harmony Road, which gives an all-around exposure to the arts! Ms. Kelly Russell holds a Master’s degree in Early childhood education from John Hopkin’s University and a Bachelors and Masters Degree for Voice Performance. She is passionate about developing children’s musicality and spark their interest in music and art! Time: Every Wednesday At 10:30-11:00am; Door Opens at 10:15am. Cost Per Class: $15/Parent Registration. Limit 2 children per parent registration. Additional adult must register for more than 2 children. No refunds. Help us bring the arts community together! All arts organizations, businesses, churches, school groups, and individuals are encouraged to search and share content about upcoming events. Simply create a login, password, and enter your info! Best of all, this collaborative community calendar is FREE! Here are a few highlights of what’s coming up. . .
Click here to view the FrisGO Arts Community Calendar and add your event! Frisco Arts is a 501(c)(3) collective impact organization, representing the interests of the arts community. Our mission is to advance the arts through advocacy, outreach, and education, building a stronger community with the arts. Your annual membership to Frisco Arts is tax-deductible and goes towards the important work of arts impact in Frisco. Join the Frisco Arts family today! 2018 has been a historic year for the Frisco Arts community, and we couldn’t have done it without YOU, our wonderful members! Together, we advanced the arts in Frisco, making the arts more visible and showing its value to our community and beyond. Here’s a look at some of the exciting highlights this year. 1 brand new office space at HALL Park! Frisco Arts partnered with the Frisco Rotary, Downtown Advisory Board, and Downtown Merchants Association to curate the new mural at 4th and Main in the Rail District. This groundbreaking piece was created by Frisco artist Joshua Boulet. Thanks to Half Price Books in Frisco, we hosted 6 Author’s Corner meetings featuring local literary artists and supporting young authors and illustrators. Frisco Arts and Frisco Life Magazine brought world-class music to Frisco through two SOLD OUT Red Carpet Concerts at the Lincoln Experience Center at the Star, welcoming a $7M Stradivarius and a Steinway! Chambers! This event was SOLD OUT and standing room only, showing the desire for more fine arts programs in Frisco. Frisco Arts was pleased to showcase the GRAMMY-nominated UNT Jazz lab bands to perform a free community concert in Frisco at our Frisco Arts Walk and Run. The Cliburn from Bass Hall in Fort Worth partnered with Frisco Arts to provide a Steinway Piano for community performances at our Frisco Arts Walk and Run. The Junior Cliburn Discretionary Winner Clayton Stephenson flew in from Harvard University to perform a free concert! 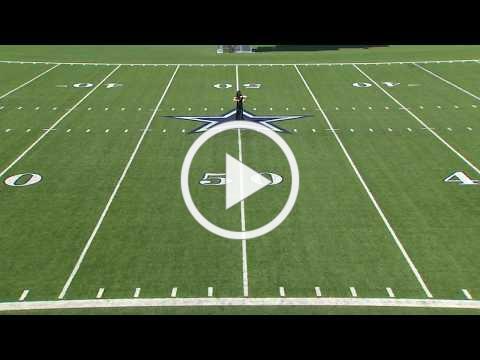 50-yard line of the Star practice facility. Tammy Meinershagen, and others. The campaign included a YouTube video and ad in the Wall Street Journal. Sharon Grisby featured Frisco Arts in the Metro and State Section on August 6, 2018. The online and print article focused on Frisco Arts’ community impact, innovative partnerships, and the need for a home for the arts in Frisco. we have now surpassed that goal and reached $100,600+!! Your generosity will help us continue the important work of keeping the arts in the conversation through our advocacy, special events, and initiatives. Thank you for strengthening the voice of the arts community in Frisco! DARLING HOMES GIVES $10,000 TO FRISCO ARTS! 2019 Red Carpet Concert Series! Because of their shared passion to bring world-class music and art to Frisco, we will host 2 special concerts at the Lincoln Experience Center at the Star on February 14th and April 24th. As we wrap up this amazing year at Frisco Arts, we can’t thank you enough for investing in us in 2018. Our progress, innovations, and achievements from the past year couldn’t have been possible without you, and they will serve as motivation for the new year and beyond. Thank you for being the engine that helps us continue to make an positive impact for the arts! It’s not too late to join Frisco Arts before 2018 ends! Become a member advocate and champion today! Learn more here. You won’t want to miss this exciting convergence of arts and business! Limited seating, so make sure to get your tickets and secure your spot. Purchase tickets here. Contact Data Coordinator Barbara Mazzeo at barbara@friscoarts.org with questions. The issues arising in the intersection of art and law have potentially far-reaching implications. Protect your work and learn more about how to recognize potential legal pitfalls in this important new “Art & Law Workshop”, hosted by Frisco Arts and Frisco School of Music and Performing Arts. What is “fair use” anyway? The session is from 10am- 11:30am on Saturday January 12th at Frisco School of Music and Performing Arts (9255 Preston Road, Frisco 75033). We will also have a brief Q&A regarding the 2019 Frisco Arts Grants from 11:30am-12pm. Tickets are just $20 for Members, $25 for nonmembers. Seating is limited, so reserve your spot today! Contact Barbara Mazzeo at barbara@friscoarts.org with questions. Though the fires in California ravaged her grandmother’s home last month, 17-year-old Jessica Bierschenk created beauty from ashes with this work of art made from remnants of their belongings. It’s an inspiring story of how art can bring hope and healing where words fail. No matter what difficulty you’ve faced in 2018, may you rise from the ashes like this Phoenix and begin a new journey in 2019! Learn more about Frisco Arts! Frisco Arts is a 501(c)(3) nonprofit committed to advancing the arts in Frisco. supporting the economic growth and cultural identity of the City of Frisco. Frisco Arts also manages the city’s arts grants program. Your annual membership to Frisco Arts is tax-deductible and goes towards the important work of advancing the arts in Frisco. Join the Frisco Arts family today! Join us for the Ribbon Cutting of the completed Mural Project in Downtown Frisco’s Rail District! The ceremony will be held Friday November 30, 2018 at 10:30am on 6927 Main Street, outside Twisted Simplicity and the gazebo on 4th and Main. serves and showcases the spirit of Frisco through the theme, “Frisco: Past and Present.” This unique piece depicts the rich history of Frisco and includes familiar landmarks, diverse cultures, a thriving sports and arts community, and an interactive spot where the public can become part of the mural and insert themselves into a painter’s blank canvas. Mural Committee comprised of representatives from The Rotary Club of Frisco, Frisco Arts, the Downtown Merchants Association, the Downtown Advisory Board, and Frisco Mayor Jeff Cheney will be present to commemorate the unveiling of the new mural. Come meet the artist and celebrate the newest art in Downtown Frisco with us! , recording artist and Founder of Pink Couch Music Academy, and Melinda Samberson, Frisco Council of PTA President, who represents 65 FISD schools and 23,000 PTA members. They’ll be our guests on December 4th’s Ladies Who Launch at Crest Infiniti. Whether you’re an artist, business owner, entrepreneur, or “wantrepreneur”, you’re welcome to attend and connect with our boss ladies who launch! Each luncheon lasts just 90 minutes and features 2 special speakers in a panel discussion, moderated by Frisco Arts Executive Director Tammy Meinershagen. Guests will enjoy a gourmet lunch and light dessert by Crest Infiniti’s Executive Chef. Seating is limited to 75 ladies, and tickets must be purchased in advance to secure your spot. Tickets are $20 for Frisco Arts Members; $25 for Future Members. New Year’s Party on Dec. 31st at Frisco Fine Art Gallery to celebrate our 100 Reasons; more details coming soon! Note: Your annual membership expires 1 year from your donation, and you will receive a friendly reminder 30 days ahead of the renewal date. You can also make a monthly donation. Thanks for your support! on Friday November 30th, 7-9pm at Verona Villa in Frisco! You won’t want to miss this exciting Thanks-for-Giving event, and we’ve got a VERY special surprise coming at the end of the night as well! We will recognize our 2018 Youth Council Member of the Year, 2018 Volunteer of the Year and 2018 Corporate Partner of the Year, share what’s coming up in 2019, and get a taste of the arts with Broadway’s Phantom, electric violinist, Indian Dance, commissioned art by sculptor Roger Belveal, and more! Guests will also enjoy appetizers by gourmet chef Tre Wilcox, HALL wine, and a signature Frisco Arts cocktail with cherry and chocolate by Vom Fass. Thanks to our sponsors Frisco STYLE Magazine and Verona Villa for making this event possible. Tickets are just $30 for members, $40 for non-members. Complimentary valet parking. Invite your friends and neighbors to join and experience the arts community! See you there! Frisco Arts is a Catalyst of Creativity! Join us today! Frisco Arts is a 501(c)(3) nonprofit organization, founded in 1996 by community and business leaders who believed that the arts are vital to creating a sustainable city. Your donation is tax-deductible and goes towards fulfilling our mission. We couldn’t do it without you! 100 donors at $100 to become members of Frisco Arts and help us close the year out strong! Being part of the Creative Community in Frisco! Join the creative revolution and help us make a more art-ful Frisco! Become a member here. Thank you helping us advance the arts in Frisco! Ask and you shall receive! Due to popular demand and customer request, Tumbleweed TexStyles, a proud Frisco Arts Corporate Member, is launching its Frisco Collection! The growth of Frisco and the increased pride within our community is what inspired Frisco residents Brian Wysong and Jeb Matulich to offer the new cool designs for locals. Lifestyle20 for 20% off your tees! Read the Lifestyle Frisco article here. The arts are all about experiences! On Friday November 9th, Steinway Pianos hosted a special “Behind-The-Grand” event at the Lincoln Experience Center for VIP guests and high-level donors. Steinway representative Bryan Elmore shared the history of the making and craftsmanship of the Steinway, and guests heard special performances from UNT Doctoral Student Dzmitry Ulasiuk and Frisco Arts Executive Director Tammy Meinershagen. At the end of the night, Steinway Pianos made a $1000 donation to Frisco Arts! Thanks to all who attended the Grand Opening of our new offices at 3201 Dallas Parkway in HALL Park! We had a wonderful time celebrating the beautiful space at Serendipity Labs. The entire building reflects the type of the organization we aim to be: creative, inspiring, and innovative. We share this milestone with all of you who have invested in our mission to advance the arts in Frisco. Our sincerest thanks to Craig Hall for donating an office space to Frisco Arts! MEET KEITH AND DEBBIE HALL! Keith and Debbie Hall are native born Texans and have lived in North Texas for most of their adults lives. They relocated to Frisco in 2015 when The National Association for the Self-Employed (NASE) moved its national headquarters from Washington DC to Frisco, Texas. Keith serves as President and CEO of the NASE, supporting small and micro business owners all across the country. Keith and Debbie gave a generous gift of $2500 to Frisco Arts, and we appreciate their strong investment in our mission to advance the arts in Frisco! we thank YOU for being a part of the collective impact of the arts! We will recognize our 2018 Volunteer of the Year and 2018 Corporate Partner of the Year, share what’s coming up in 2019, and get a taste of the arts with Broadway’s Phantom, electric violinist, Indian Dance, and more! Guests will also enjoy appetizers by gourmet chef Tre Wilcox, HALL wine, and a signature Frisco Arts cocktail with cherry and chocolate by Vom Fass. You won’t want to miss it! Thanks to our sponsor Frisco STYLE Magazine for making this event possible. Complimentary valet parking. Invite your friends and neighbors to join and support the arts community! See you there! It was an honor to represent Frisco Arts in Scottsdale, AZ for the Chamber of Commerce’s inaugural Leadership Exchange trip. The group of 42 included the Mayor and representatives from the Economic Development Corporation, Visit Frisco, FISD, Hillwood, HALL Group, UNT, Collin College, Community Impact, corporate leaders, lawyers, and more. We spent 3 days learning from the Scottsdale Mayor and their leadership about best practices in all sectors. What struck me most during the discussions was how much arts and culture are ingrained into the fabric of Scottsdale, and how proud they are to be known for their arts community. Not only was art visible everywhere you went, every leader from the Mayor to the panel speakers mentioned that arts and culture are part of their DNA. We visited the Scottsdale Performing Arts Center, Museum of the West, Museum of Contemporary Art, heard from Scottsdale Arts CEO and other arts panelists, and learned that there were 40 galleries in Old Town Scottsdale. here. I encourage you to take a quick read for the recap. What we all came away with was the fact that Frisco must up its game with regards to arts and culture; it is the missing puzzle piece to finish building our city. Let’s continue to increase awareness, appreciation, and visibility of the arts so that someday, Frisco will truly become a well-rounded city. Thank you for being an important voice of arts advocacy with us! Joshua is a Frisco resident and professional artist who moved from Seattle about 5 months ago. 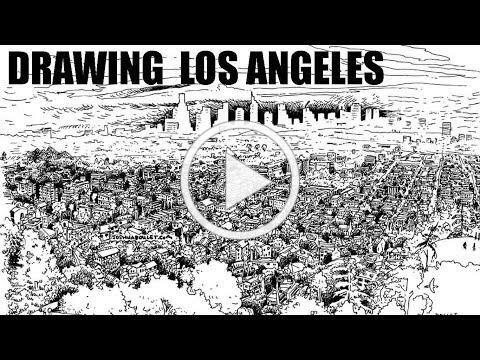 View this video to see a sample of his work; he’s created an incredible concept for the mural in Frisco that has captured the essence of our city! Thanks to the Frisco Noon Rotary, Downtown Merchants Association, and the Downtown Advisory Board who are helping to make this project a reality. Joshua will be starting on the mural next week and will be working on it for the next 30 days. Facebook to stay updated with the mural. The Whistlestop Jamboree is a FREE, all-day, family-friendly music festival showcasing prominent local bands on one stage and featuring an experimental collaboration of musicians on another stage. There will be food trucks and a bar on site, as well as kid games. The Main Stage will feature The Venetian Sailors, Droo’s Peace Crush, Loyal Sally, Christopher Mills, and Justin Tipton. The Jamboree Scramble stage will host ad-hoc bands that were created this summer by drawing names of prominent local musicians from a hat: The Dandy Shakers, Pocket Change, That Sound Flipper Makes, 21 String Posse, 380 Outlaws, Shotgun Whiskey, Thorns & Roses. Meet local artist Leticia Herrera and Frisco Parks and Rec Director Shannon Kelleher at our next Ladies Who Launch on November 6th! Presented by Origin Bank. Whether you’re an artist, business owner, entrepreneur, or “wantrepreneur”, you’re welcome to attend and connect with our Ladies Who Launch! This is not your typical networking event; it’s an opportunity for mentoring, connecting, and supporting other women in arts and business. Each luncheon lasts just 90 minutes and features 2 special speakers in a panel discussion, moderated by Frisco Arts Executive Director Tammy Meinershagen. Guests will enjoy a gourmet lunch and light dessert by Crest Infiniti’s Executive Chef, as well beautiful decor by Joy in the Breakroom and Marquee Rentals. These luncheons sell out quickly, so don’t delay and get your tickets today! MEET ADRIAN LYLES, SINGER/SONGWRITER FROM FRISCO! eighth-grader at Hunt Middle School who was recently featured in Frisco Enterprise! Adrian writes his own songs, and his newest song “Nobody Knows My Name” is now available on Amazon Music. Adrian is also a Frisco Arts Youth Council member, and his parents are proud Patron members of Frisco Arts. Adrian will be celebrating the release of his freshman EP album on Saturday October 27th from 2-4pm at Unify Frisco, located at 10880 John W. Elliot Drive, Suite 600, Frisco 75033. You can get your FREE ticket on Eventbrite here. View Adrian’s newest music video here. Read full Frisco Enterprise article here. Frisco Arts is proud to support the emerging talent from our city! e Frisco Arts Walk and Run at HALL Park on October 6th welcomed 334 runners and walkers from 30 Texas cities, including San Antonio, Austin, and Fort Worth, as well as 5 states! We had perfect weather for a run, and it was a beautiful sight to see all ages and walks of life coming together to raise awareness for the arts in Frisco. Making the arts accessible is at the heart of our mission, and this was the first time ever that three cultural cornerstones: UNT Jazz Bands, The Cliburn, and Steinway Pianos had all collaborated together on an event. . . and it was in Frisco!! We are proud to be the creative catalyst behind this powerful display of local and regional talent, and we thank all our artists, musicians, dancers, as well as our sponsors, partners, volunteers, and youth for helping us increase the visibility and appreciation of the arts in Frisco in this unique way. “I feel privileged to be one of the artists in the Frisco Art Walk and Run. I have never been part of such a unique and beautiful event. The scenery and the performances around the Run makes this event outstanding and one-of-a-kind. But most importantly the people that organized greeting everybody with a big warm smile! Thank you so much for Frisco Association for the Arts to have given me this opportunity. Make your Wednesdays a little more glamorous this fall by enjoying some of the fantastic creations by local artists and learn about wine at the same time! Frisco Fine Art Gallery has partnered with the Boisset Collection Wineries to bring the exquisite wines of Jean Charles Boisset to Main Street. The gallery opens to the public on Wednesday evenings to offer free wine tastings (no alcohol is sold on the premises); free tastings are available other times as well upon request for groups of twelve. The Frisco Fine Art Gallery ensures that the work from an ever-increasing roster of internationally known and locally grown artists are accessible through a variety of fantastic experiences. According to the recent article in Community Impact, there is $27.5 billion in total annual government revenue from the arts, $4.6 billion total in full-time jobs supported by the arts, and the average person spends $31.6 per event, which does not include the cost of admission or ticket sales. On November 6, Frisco voters will decide whether to pass a $691 million bond for Frisco ISD, where an estimated $43 million of that bond would be dedicated to a fine arts center in Frisco. With over 17,000 students in FISD enrolled in fine arts, a growing local arts community, as well as arts consumers who desire regional and national acts in Frisco, Frisco has the potential to become an arts destination. The deadline to submit for the Downtown Mural Project is Friday October 12th! Artists must submit a written proposal, no more than 500 words, detailing the idea and process of a hand- painted mural, listing anyone who may be involved in the creation of the art. Preference will be given to innovative projects that address the concept of community. Competitive proposals will identify the “Frisco: Past and Present” concept relating to the community plans to work with and the methods they will use to reach and include that audience. here for more info and the prospectus. Linnea is a fifteen-year-old freshman at Frisco High School, a member of the Frisco Arts Youth Council, and an up and coming musician from Frisco! Linnea’s versatility as a singer/songwriter and pianist is evident in her style, as she incorporates elements of pop, rock, jazz, R&B, and country music into her original music, as well as her own arrangements of cover tunes. Linnea performed the National Anthem at the Frisco Arts Walk and Run, and is proud to be a musician for Melody of Hope (MOH), a nonprofit organization that advocates for nonprofit organizations across the DFW metroplex. Linnea is excited to be working on her first EP, which will be released in the spring of 2019! Her first single, “Stone by Stone”, which was recently released, was inspired by her trip to Croatia over the summer. Frisco Arts is honored to have been named “Best At Winning New Customers” by Frisco STYLE Magazine! The Best of Business awards reception was held at Verona Villa on Tuesday Sep. 25th, and Frisco Arts was recognized for our unprecedented 700% membership growth rate and innovative programs that reach multiple sectors to strengthen our community through the arts. Several Board Members, Ambassadors, and Advisory Council members were present to receive the award. We share this award with all of YOU who have supported our mission to advance the arts in Frisco! You are the collective voice of the arts community, the engine that keeps the momentum going, and the essential element to building a stronger Frisco through the Arts. We are proud to win this designation and link arms with more people who are passionate about the arts! Look for this month’s issue of Frisco STYLE Magazine to read the feature article with Executive Director Tammy Meinershagen, Ambassador Team Lead Will Odom, and President Julie Shipp. Learn more about Frisco Arts here. What makes Frisco the No. 1 Best Mid-sized city to move to? If you’re an artist or arts enthusiast, you undoubtedly have the arts high on your list. You may have even felt out of place in “Sports City USA,” but Frisco is beginning to change its tune. highlighting various aspects of Frisco’s core identity with “I am” statements by leaders in the community. Charlotte Jones Anderson, EVP and Chief Brand Officer of the Dallas Cowboys, Gearbox Software CEO Randy Pitchford, and Frisco Arts Executive Director Tammy Meinershagen were featured in creative videos and on the EDC social media to give a picture of Frisco. The arts are an economic driver, and Frisco is home to a large community of aspiring musicians, dancers, actors, visual artists, filmmakers, and more. Through initiatives like these, the arts community is not only visibly represented, we are a defining element of Frisco. We thank the Frisco EDC for including Frisco Arts in this unique campaign, and together with your support, we will continue to advocate for Frisco to be known as a destination for the arts, as well as sports. Not yet a member? Join us today! Your tax-deductible donation helps support our innovative programs, arts advocacy, and scholarships. Membership starts at just $50/year for individuals, and $50/month to add your business logo/hyperlink on our website. Become a member here. he Collin County Ballet Theatre, Legacy Dance Center and Natyanjali Dance will be performing near the beautiful trails. You’ll also enjoy many FREE arts activities after the Arts 5K, including the GRAMMY-nominated UNT One O’Clock Lab Band and Jazz singers, The Cliburn Red Carpet Performances, children’s activities, food trucks, and more. 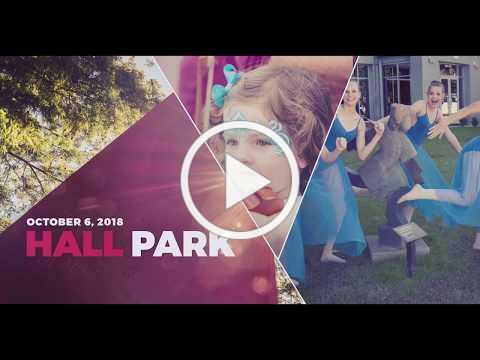 We invite you to support the arts community and register for the Frisco Arts Walk and Run on October 6th and enjoy the FREE festival with your friends and family! View our event webpage here. A 206-seat theatre may break ground within 6 months in downtown Frisco! “Nack Theatre” will be home to Frisco Youth Theatre, as well as improv, dinner theater, and live music. This project is part of the new Nack Development in the Rail District, the heart of old downtown Frisco. Announcing the Frisco Arts Painted Piano Project! One artist will be chosen to paint a grand piano that will be used for pop-up musical performances along the run route of the Frisco Arts Walk and Run on October 6th! Many thanks to Frisco Fine Art for providing the piano and curating the process. info@friscofineart.com with “PIANO” in the subject line. Deadline to submit is Sep. 10th, and the winner will be announced Sep. 12th. Open to all artists, Frisco and beyond! On Sept 7th & Sept 8th, a team from Universal Studios Japan™ in Osaka will be in Frisco at Legacy Dance Center to host auditions! They are looking for passionate and talented individuals with a vast range of performance skills to fill a variety of extraordinary positions throughout Universal Studios Japan. Attractive compensation packages are on offer for successful performers, as well as quarterly and completion bonuses attached to every contract. View audition requirements here, or email info@usjauditions.com.au for more info. Global Village Frisco is a multicultural festival celebrating the diversity of our unique Frisco community. Frisco Arts is a proud sponsor of the performance stage! The festival will include food from various countries/cultures, traditional dance and music, and unique artifacts at vendor booths. The event will take place at Frisco Square (6101 Frisco Square Blvd) on Saturday Sep. 15th from 11am-6pm. Free and open to the public! Contact globalvillagefrisco@gmail.com for more info. Join us for a special Frisco Arts Happy Hour, hosted by Dee Lincoln at the Star! We’ll be there on Wednesday September 26th, 5:30-7:30pm. Frisco Arts Members will enjoy complimentary appetizers and a cash bar while networking with arts enthusiasts from all sectors of Frisco and beyond. RSVP on our website to secure your spot! Click on the “Register” tab to fill in your info. Not yet a member? Join us today to support our innovative arts programs, advocacy, and scholarships! Visit friscoarts.org to make an annual donation of $50 or more to become an arts advocate with us. Contact barbara@friscoarts.org. to check membership status. Lace up your sneakers and come join us at HALL Park for a run through the Texas Sculpture Garden and HALL Collection on October 6th! Afterwards, enjoy many other FREE arts activities with your friends and family, including the UNT Jazz Lab Bands, The Cliburn Red Carpet Performances, and local community artists. It is sure to be a great day at our Frisco Arts Walk and Run! Register with 4 or more friends to create a team and save $5! $35 for team members, $40 for individual runners. Register today to support the arts in Frisco! Lace up your sneakers and come join us at HALL Park for a run through the Texas Sculpture Garden and HALL Collection! Afterwards, enjoy many other FREE arts activities with your friends and family, including the UNT Jazz Lab Bands, The Cliburn Red Carpet Performances, and local community artists. It is sure to be a great day at our Frisco Arts Walk and Run on October 6th! Early bird pricing for the 5K is $35 until Sep. 1st; $30 for Team pricing. Register today! MEET FRISCO ARTS MEMBER – JASON BEE! Jason Bee is a Native Texan and the writer, director, producer, and lead actor of the independent film, “DONOVAN”, which captures Jason’s personal struggle of being diagnosed with bipolar disorder. DONOVAN took “Best Picture” at the Bare Bones International Film Festival as well as “Best Dramatic Feature” and the “Only Human Award” at the Ft Worth Indie Film Showcase. The premiere took place at Angelika Dallas to an audience of 300 people with a Q&A afterwards. art of film allows people to connect on a deeper level. Have a story you want to share about the power of the arts? Contact Executive Director Tammy Meinershagen at tammy@friscoarts.org. Individual membership starts at just $50 to support our programs, advocacy, and scholarships. here to donate and view our growing, diverse membership! barbara@friscoarts.org. Thanks in advance for your support of the arts in Frisco! Are you a visual artist in Frisco looking to share your work? Exhibit with the The Visual Arts Guild of Frisco! Their next juried exhibition called Creme de la Creme will be held at the Frisco Discovery Center and runs October 1- November 4th; deadline to submit is September 14. Visit vagf.org for more info. Hot off the press!! The ARTS in Frisco was featured in The Dallas Morning News online and in print in the Metro section on Tuesday August 7th! Frisco Arts is always hard at work keeping the ARTS in the conversation, and we are thrilled to bring positive impact and more eyes on Frisco through our advocacy efforts and innovative partnerships. on the growing arts scene in Frisco, the staggering number of students enrolled in Fine Arts in FISD, the upcoming Frisco Arts Walk and Run, and our community’s desire for a true home for the arts. We thank each of you for being part of the creative revolution and voice of arts advocacy in Frisco and beyond! Frisco Arts proudly welcomes The Cliburn as a partner for the third annual Frisco Arts Walk & Run on Saturday, October 6 at HALL Park! It is an honor for Frisco Arts to be recognized as an important outreach partner to support established cultural cornerstones like The Cliburn to grow their audiences in Frisco, where there is a high concentration of young classical musicians. Representatives from The Cliburn will be on-site to share information about the 2019 Cliburn International Junior Piano Competition and Festival, which takes place in Dallas on May 31 – June 8, 2019 with Former First Lady Mrs. Laura Bush as honorary chair. “As we prepare to welcome the very best 13- to 17-year-old pianists from around the world to Dallas next year, one of the Cliburn’s top priorities is forming new, purposeful relationships with the region’s innovative arts organizations, including Frisco Arts. We’re looking forward to being at the Walk and Run this fall, to meet the community of Frisco and to introduce the exceptional talent that they can expect at the Cliburn Junior Competition,” said Jacques Marquis, Cliburn president and CEO. View the video below to learn more about Clayton and his experience at the 2015 Junior Cliburn Competition and Festival. make the arts accessible to all citizens and highlight the talent in our city and beyond. The Frisco Arts Walk and Run brings all art forms to the community, and this year our reach gains international exposure through a partnership with the Cliburn. We hope you’ll join us for this historic day that combines the most significant musical institutions in one place: UNT’s Jazz Studies, The Cliburn, and Steinway and Sons Pianos, along with our local arts community at the Frisco Arts Walk and Run on October 6th! NOTE: THIS EVENT IS NOW FULL!! Due to an overwhelming response, we will not be able to accommodate any new RSVP’s to our Members Happy Hour at Zaytinya on Wednesday August 8th. Thanks to all our members who already registered, and we look forward to seeing you! For those who couldn’t make this event, be watching for our next Members Happy Hour coming soon. Thank you for your support of Frisco Arts! Do you want to see your artwork displayed in City Hall? The City of Frisco seeks original, 2-Dimensional artworks by artists from Frisco and the surrounding area for the 17th installment of Art in the Atrium at City Hall. Art in the Atrium 17 will showcase artistic excellence in the region, encourage public dialogue, understanding and enjoyment of visual art, and promote the City’s cultural initiatives. Art in the Atrium 17 is scheduled for Monday, September 24, 2018 through Friday, March 8, 2019. Submissions will be accepted only through www.callforentry.org. Interested artists must submit the following items on or before Monday, August 20, 2018, before 4:00pm CST. No more than three (3) digital images of artwork following the image format requirements.